Post news Report RSS	Dev Log #4: The alpha countdown has begun! Today we got a major announcement : here comes the alpha ! We’re very proud indeed to tell you that a public alpha version of Dead Galaxy will be available on the Android market starting from next Wednesday. Also we give you an in depth review of our Arena game mode. Today we got a major announcement : here comes the alpha ! We’re very proud indeed to tell you that a public alpha version of Dead Galaxy will be available on the Android market starting from next Wednesday. But there’s more. 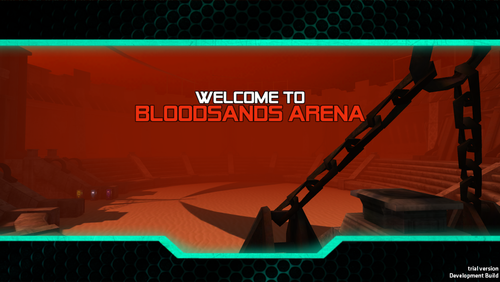 In order to have you patiently wait, we’ll introduce you to our very exciting arena mode ! 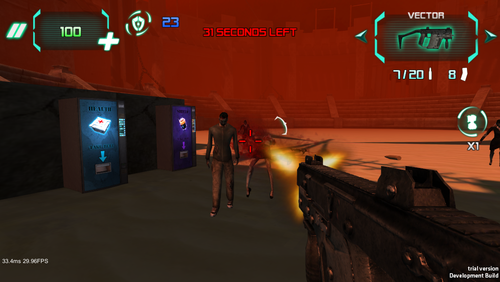 The arena is a mode totally unrelated with the main story where you’ll find yourself alone in a closed environment, and will have to take down infinite waves of enemies. 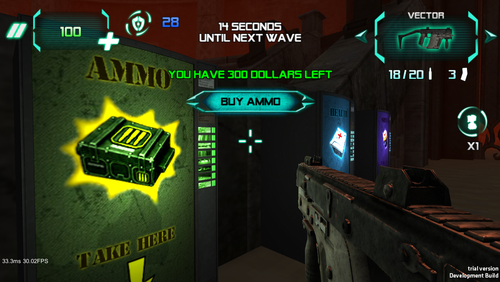 This mode has several interests : you can test your weapons, sharpen your reflexes, put to the test your endurance, or simply farm money to buy a state-of-the-art gear ! You will be confronted with all sorts of enemies, from zombies to monsters, including giant bosses. Moreover, in order to propose a real challenge, the difficulty is increasing wave after wave. As you progress in the main story, you’ll unlock new arenas with different settings and enemies. That’s all for this devlog. We’re really can’t wait for you feedback and first impressions on Twitter, IndieDB or Tumblr, so don’t hesitate to comment.